As a 10-year-old girl, Darleen Mastin would watch in admiration as her neighbor, clad in a familiar nurse’s uniform, headed out for her morning commute. Her idolization of nurses continued into her teen years as she voraciously read about fictional, mystery-solving nurse, Cherry Ames, and volunteered her time to the Red Cross. 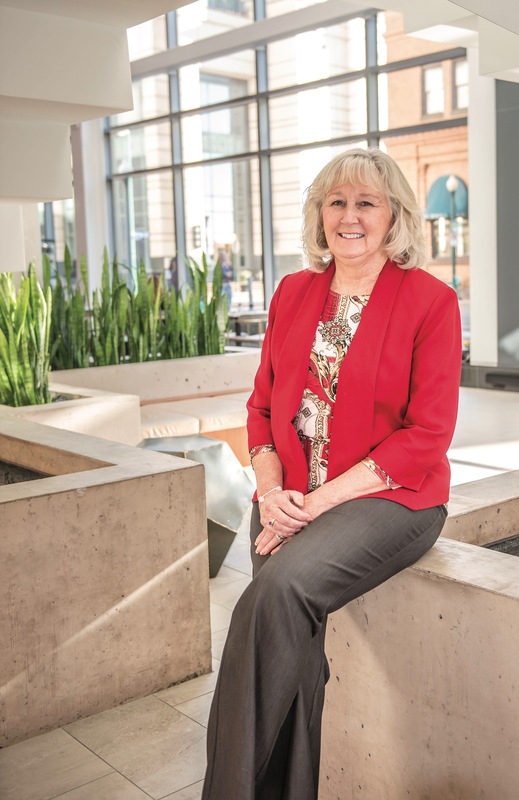 Now in retirement, Mastin looks back on those childhood dreams as the catalyst for her 43-year career in healthcare. Mastin hails from Boston, Mass., but has called many U.S. cities home. She landed in Winston-Salem, N.C. upon her father’s retirement from the Navy, and it was there that she surrendered to her passion for nursing. She graduated from North Carolina Baptist Hospital with a nursing diploma in 1973, the same year she married Bill Anderson, a pioneer in tissue banking, who died in 2002. Three years and three staff nurse positions later, Mastin followed her husband to Coastal Virginia. As he forged his career as the new head of the transplant program at Norfolk General Hospital, Mastin continued to chase her dream. She graduated from Old Dominion University in 1982 with a Bachelor of Science in Nursing and in 1985 received a Master of Science in Advanced Adult Nursing in Administration from Hampton University. Mastin’s leadership seamlessly merged with her personal life when she accepted chief positions in worlds of religion, higher education and nonprofits. Some of her most notable affiliations include ODU as adjunct faculty, EVMS Foundation Board, John Leland Theological Seminary Board and the former chair of United Way Board of Directors. When Mastin retired from her 12-year stint at Sentara in 2016, she invested full time in her responsibilities as a women’s advocate, volunteer, grandmother and traveler.